Ambrane brings you Dual SIM A3-7 Tablet PC to your delight. The Tab obviously houses two SIM slots and is the maker’s flagship model in its indigenous Calling King category. Ambrane A3-7 model runs on Android’s v4.0.4 (ICE CREAM SANDWICH , hosts a 7 inch screen and features an immersive 1024×600 pixel display. 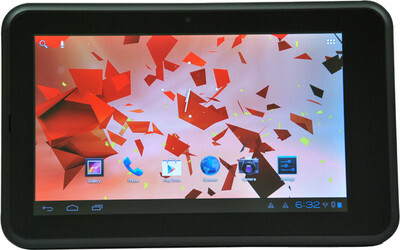 With 1.5GHz processor power and 1GB RAM support, the tablet is expected to work with no trouble. Dual SIM Tablets/Phones are getting more popular and their acceptability has increased substantially over the past. This is the reason we see many more Dual SIM devices reaching the market, on a regular basis. Also check the other two popular models of Ambrane in the budget category itself.